어떻게 비밀한 다크넷이 주류로 진출할 수 있을까 ? 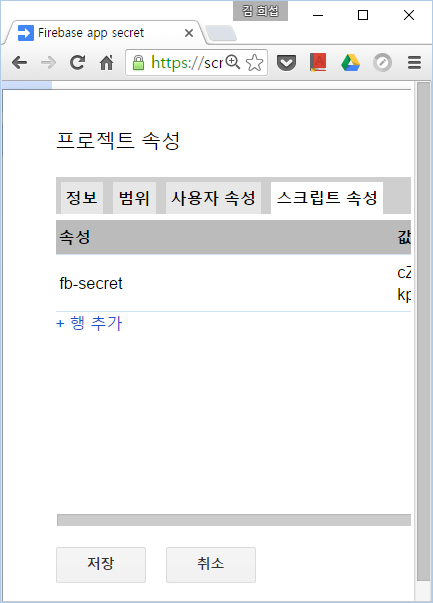 여러분이 접근할 수 없는 평행 인터넷이 있습니다 - 특별한 브라우저를 통해 접근할 수 있고 익명의 사회운동에서 불법적인 사회운동에 이르기까지 모든 것의 집이죠. 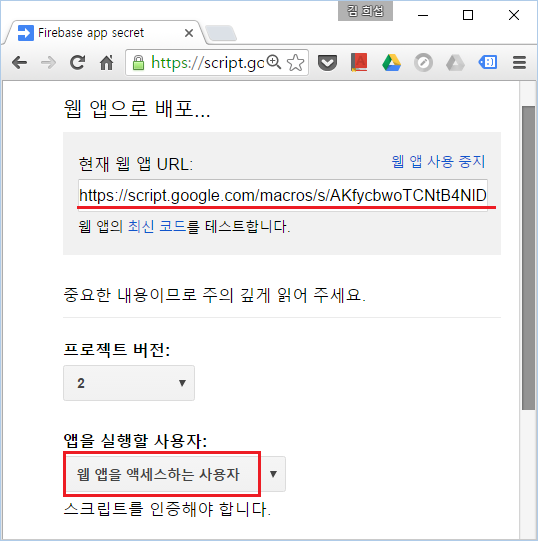 제이미 바트렛이 다크넷에 대해 보고합니다. 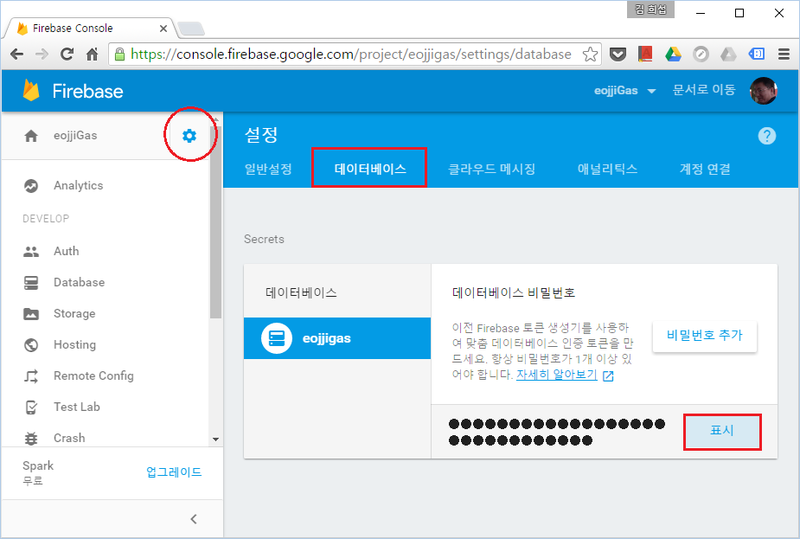 경영 컨설팅으로 크게 성공한 안젤라 리 덕월쓰(Angela Lee Duckworth)는, 컨설팅 일을 그만두고 뉴욕시에서 중학생들에게 수학을 가르치기 시작했다. 아이들을 가르치면서, 공부를 잘하는 아이들과 못하는 아이들을 구별짓는 것은 아이큐가 아니라는 것을 깨달았다. 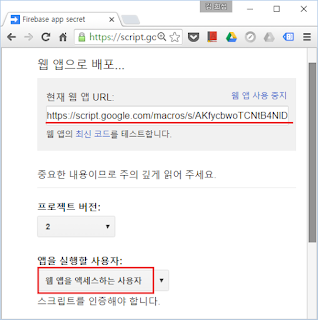 성공의 열쇠는 바로 "기개"라는 것, 여기 그녀의 설명을 들어보자. 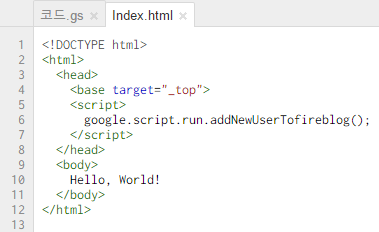 gSubfolder needs your permission to access your data on Google. 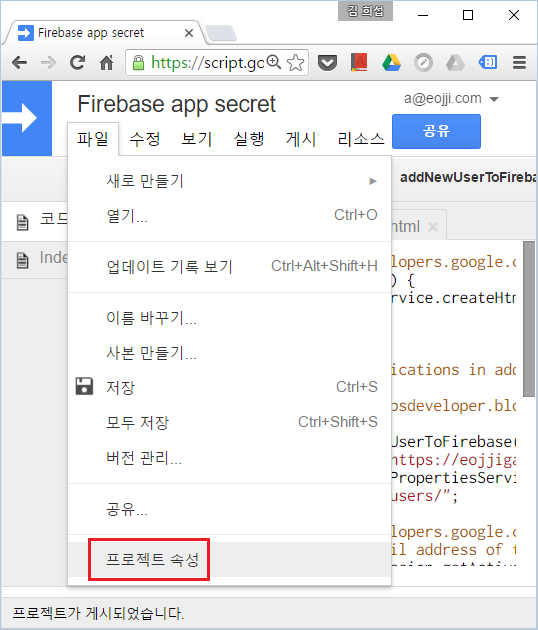 허용을 클릭하면 이 앱과 Google에서 서비스 약관 및 개인정보처리방침에 따라 내 정보를 사용하도록 허용하게 됩니다. 언제든지 이 권한 및 다른 계정 권한을 변경할 수 있습니다. 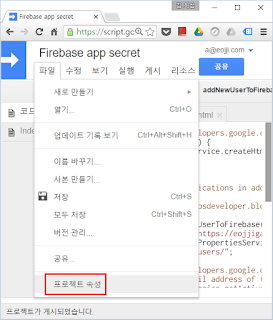 Using a Firebase app secret in apps script에 이어서 Apps script를 사용하여 Database에 data를 저장해 봤습니다. 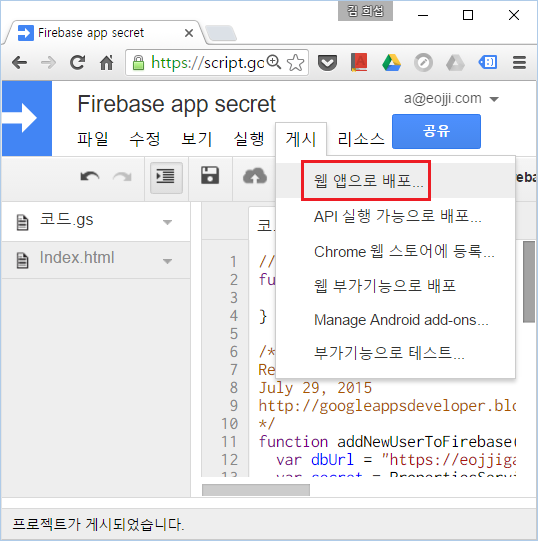 Google apps script에서 Firebase app secret을 사용하여 OAuth Authorization Flow 없이 Database를 사용할 수 있습니다. 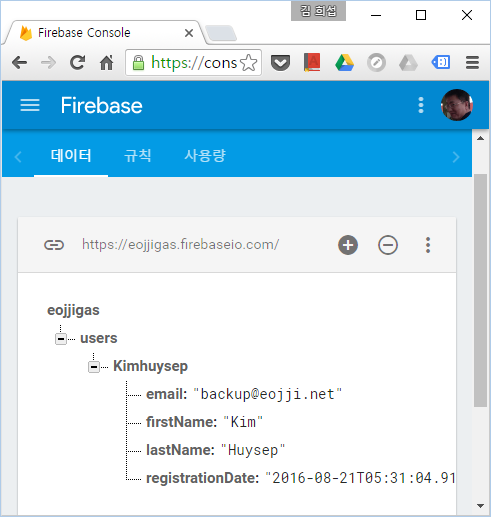 Firebase console에서 새 프로젝트 만들기버튼으로 eojjiGas 프로젝트를 생성했습니다. 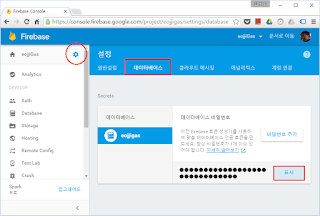 eojjiGas 프로젝트에서 설정 버튼 클릭하고 데이터베이스 탭에서 비밀번호를 복사합니다. 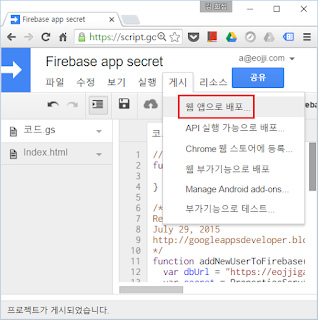 아래 참고 자료 중 Real-time notifications in add-ons with Firebase를 보고 Google Apps script 프로젝트를 만듭니다. 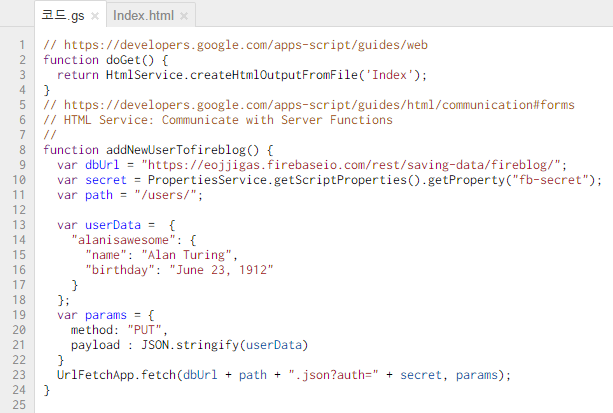 Using a Firebase app secret: All authentication methods can accept a Firebase app secret instead of a JWT token. 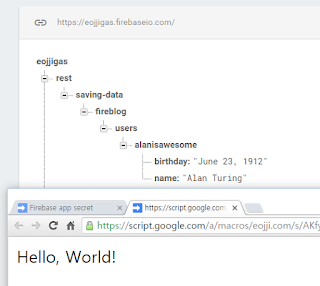 This will grant the server complete read and write access to the entire Firebase database. This access will never expire unless it is revoked via the App Dashboard. 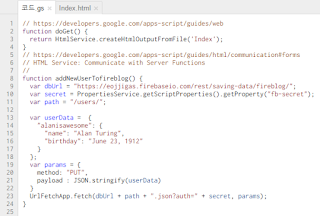 Using a secure JWT with the optional admin claim set to true: This method will grant a server complete read and write access to the entire Firebase database. This token will expire normally, so it is important to set the expiration times accordingly. Using a secure JWT designed to give access to only the pieces of data a server needs to touch: This method is more complicated, but it is the safest way to authenticate a server as it lets the Security and Firebase Rules prevent the server from doing anything it's not supposed to, even if it becomes compromised in some way. The REST API can also be used to retrieve and update the Firebase Realtime Database Rules for your Firebase app. 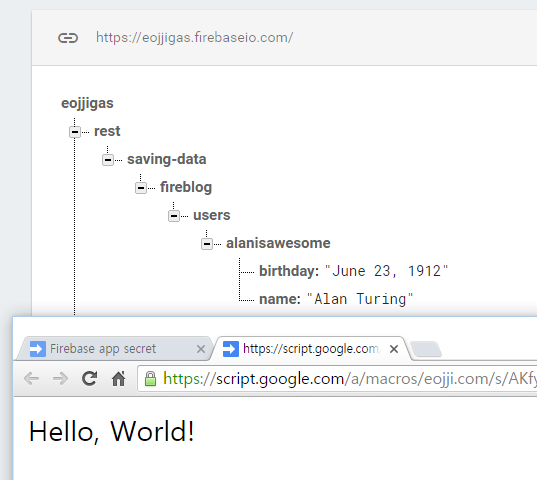 You'll need your Firebase app's secret, which you can find under the Secrets panel of your Firebase app's dashboard. 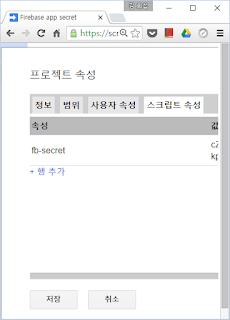 기본 권한 규칙을 사용하면 사용자가 인증을 받아야 합니다.